Magnificat, 2011. 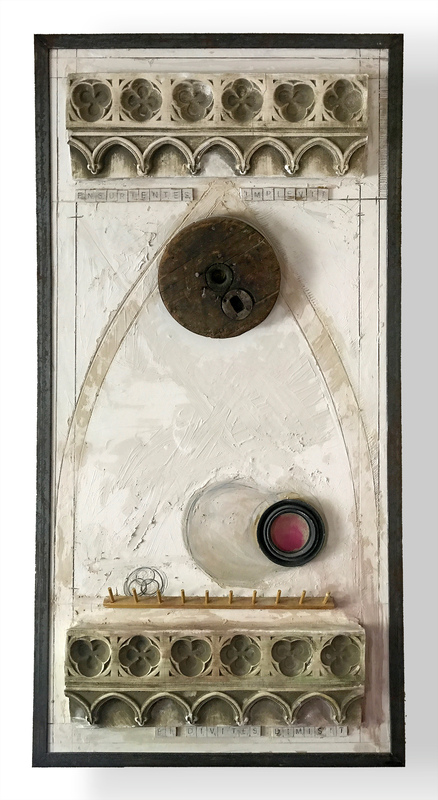 251⁄4” x581⁄2” x 21⁄2” acrylic and found objects in plaster on wood panel. Custom-welded metal frame. For sale. 900. I created this Magnificat in 2011 at the request of Alamo Heights Methodist Church in San Antonio, Texas for their Advent series.